After surviving the perilous Underworld and barely escaping a murderous Poseidon, cousins Charlotte and Zee know better than to expect their lives to return to normal. After all, vengeful gods do not like to be foiled by mere mortals...especially when those mortals are thirteen. So when a... read more fire-breathing Chimera descends on their middle school, Charlotte and Zee are determined to fight -- not only for their lives, but for humankind. With nothing but a mysterious map and hints of a powerful weapon to guide them, the cousins journey to Mount Olympus, home of Zeus himself. But they're not alone. Their arch-nemesis Philonecron dreams of taking Zeus's place at the throne of the universe -- and now he has Poseidon's trident to help him do it. 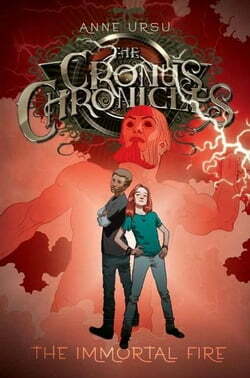 The only thing he needs now is a little help from Charlotte and Zee...In this thrilling conclusion to the Cronus Chronicles, author Anne Ursu brings her epic battle of good versus gods to a breathtaking end.